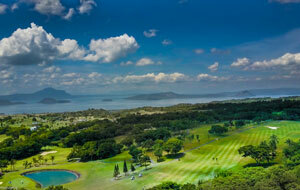 Philippines is one of Asia’s emerging golfing destinations and the country is beginning to develop a fantastic reputation for its golf courses. This may not be a country you know particularly well and may not have been very high on your list of potential golf destinations but that is about to change thanks to our array of golf packages in Philippines. 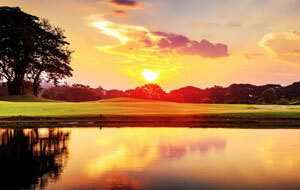 A golf holiday in Philippines is something special and planning a trip to this spectacular Asian country is simple. There are many flights, both direct and indirect to the capital city Manila, so wherever you are in the world, you can easily reach the country. 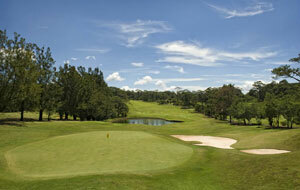 The best time to book a golf package in Philippines is between November and April, when the weather is dry. The cooler months are December, January and February and the whole of the country is accessible during this time, meaning a greater choice when choosing golf packages in Philippines. You should set aside a good two weeks to enjoy the best golf courses in Philippines and the Philippines Golf Experience package is a great place to begin. 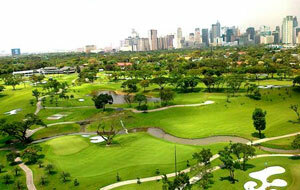 Booking this package will allow you to start and end in Manila, playing some of the very best golf courses in Philippines. However, regardless of whether you decide to book one of our pre-made golf packages in Philippines, such as the Philippines Golf Experience or Philippines Golf Explorer, you can also request and build your own package. Regardless of whether you would like to book a package or create your own Philippines golf package, you must include Southwoods Golf & Country Club. 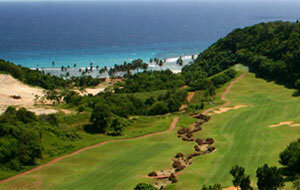 Here you will find not one but two 18-hole championship golf courses designed by Jack Nicklaus. They each offer a different challenge, so you could start your golf package in the Philippines by spending a few days in Manila and playing a couple of rounds at Southwoods Golf & Country Club. 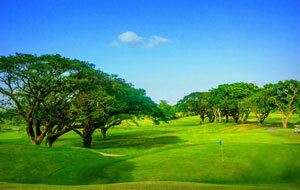 Another great wat to include this golf club in a Philippines golf package is to play one course at the beginning of your package and the other course at the end of your package, as you are likely to be flying out from Manila. Making the best use of your time is key when booking golf packages in Philippines and we believe we have struck the perfect balance in both our packages. You will travel and stay in three or more different regions of Philippines including Manila, Tagaytay and Boracay Island. During your time at each of these destinations you can enjoy playing golf at some tremendous courses such as Eagle Ridge Golf and Country Club, Fairways and Bluewater Resort Golf and Country Club and Tagaytay Highlands International Golf Club. 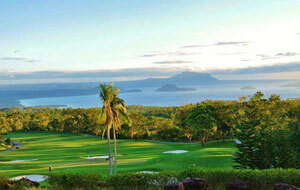 Booking golf packages in Philippines is a great way to not only play golf but to experience this special country.